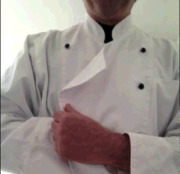 Can you be a restaurateur without having worked in the service industry? Eat Me! Brooklyn is all about recognizing the great New York City chefs and restaurants that exist in Brookyn. We are part of FeastMonkey.com, a national social network of chefs and foodies who get together face to face for unique adventure dining experiences. We rely on our members to help post ideas and organize meetup events. If you have an idea just post it and see who likes it. If we get enough interest we'll make it happen. Join our national members on http://www.feastmonkey.com to receive special offers and get invited to exclusive events. You can also follow us on twitter or facebook. I hope you'll join us at our next meetup...Cheers! NYC Fun & Social Singles!